Victoria Cruises (www.VictoriaCruises.com) and Ritz Tours (www.RitzTours.com) are offering a comprehensive 12-day Yangtze Essence program, giving travelers the opportunity to explore the rich history of China. For further incentive, travelers that book by Feb. 28, 2014 can save up to $300 per couple. The 12-day adventure features a luxurious four-day Yangtze River cruise in a private-balcony superior stateroom with stunning views of the mist-shrouded Three Gorges aboard the recently renovated five-star Victoria Anna. Passengers will discover cultural and scenic gems, including an excursion to the “Ghost City” of Fengdu, an educational tour of the Three Gorges Dam site, and a small boat experience through one of the Yangtze’s tranquil tributaries (Goddess Stream, Daning River, or Shennong Stream, based on river conditions). The comprehensive 12-day program also encompasses the major highlights of Beijing, Xi’an and Shanghai. While in Beijing travelers will visit Tiananmen Square, the Forbidden City, Summer Palace, Temple of Heaven and the Great Wall, while the highlight of the Xi’an experience is arguably the Terra Cotta Warriors exhibit. Travelers will also explore the Ming Dynasty City Wall, the most intact city wall in China, and the Big Wild Goose Pagoda in Xi’an. The experience culminates in Shanghai where guests will discover the elegant waterfront of the Bund, City God Temple Bazaar and the peaceful halls of Yu Garden before returning home. The 12-day program starts at $2,199 per person, based on double occupancy, and includes: all accommodations; 24 meals; comprehensive sightseeing tours; all shore excursions; experienced escorting hosts for groups of 10 or more; expert local city guides and river guides to enhance tour experiences; domestic air transportation in China; and air-conditioned tour coach buses with the service of professional drivers. A single room supplement starts at $700. China visa fees are not included. An early booking discount of $150 per person will be shown during booking. Travelers seeking a more in-depth tour to China have the option of the 15-day Majestic China & Yangtze River Cruise program from $4,499 per person, based on double occupancy. With this program passengers will enjoy Victoria Cruises’ Executive Amenities Program, featuring private balcony Executive Suite accommodations and a host of VIP additions including “white glove” service, access to exclusive ship areas, complimentary Wi-Fi Internet access, enhanced dining privileges, shoe shine service and reserved seating for evening entertainment (must be reserved in advance). This tour comprises all the highlights of the 12-day program with an added stop in Guilin, allowing visitors to take in the scenery that has inspired countless Chinese artists at honored landmarks such as the illuminated rock formations of Reed Flute Cave and the Elephant Trunk Hill. The 15-day tour also gives travelers an extra day in Shanghai for exploring. For further incentive, travelers that book by Feb. 28, 2014 can save up to $400 per couple. All Ritz Tours programs feature five-star hotel accommodations and Ritz Tours now offers TRAVEL GUARD® traveler’s insurance which covers guests at no additional charge. For more information or to book a Ritz Tours program, visit www.RitzTours.com. For more information and a free color brochure or promotional DVD, contact Victoria Cruises at 136-18 39th Avenue, 12th Floor, Flushing, NY 11354; phone (800) 348-8084, (212) 818-1680; fax (212) 818-9889. E-mail contact@victoriacruises.com or visit http://www.victoriacruises.com. Highlights of the onboard Victoria Cruises experience include cultural entertainment. Pacific Delight Tours (www.PacificDelightTours.com) is offering a new air-inclusive 14-day Grand Yangtze River Silver Experience which includes a relaxing nine-day Yangtze River cruise through China’s scenic heartland on the five-star Victoria Sophia from Victoria Cruises, along with roundtrip airfare from Los Angeles or San Francisco (other gateways available including JFK for an additional $200). The program begins in Shanghai, China’s fastest growing metropolis, where passengers will have an opportunity to relax after the transpacific flight. Sightseeing in Shanghai includes a leisurely stroll around Old Town, picturesque Yu Garden and the Bund, Shanghai’s colonial riverside promenade, where visitors will receive an insightful glimpse into the city’s profound history. Along the way to meet their cruise ship, guests will stop at the picturesque water town of Zhujiajiao known for its tranquil canals, cobblestone streets and ancient charm. Travelers will then depart on a blissful voyage along the mist-shrouded Yangtze River. (also known as Mountain of the Nine Lotuses), a UNESCO World Heritage site revered for its exceptional beauty. Travelers will experience the feeling of walking into a living Chinese ink painting, as the sheer peaks and their breathtaking vistas unfold before them (Huangshan, also known as Yellow Mountain, may be substituted based on weather and road conditions). Continuing upstream, travelers will observe the stunning natural scenery of the areas surrounding Guichi on their way to Wuhan, where they will spend time visiting the Hubei Provincial Museum. The museum houses artifacts from the first century BC, as well as mementos of the province’s revolutionary history. Next, passengers will receive a fascinating tour of the Three Gorges Dam, an extraordinary feat of engineering and the largest hydro-electric dam project in the world. Upon returning to the ship, they will pass the ship locks and sail through the first of the famed Three Gorges – Xiling Gorge. One of the most talked about excursions is an incredible sailing experience on a traditional sampan, through Goddess Stream – one of the Yangtze’s scenic tributaries. Here, guests will board smaller craft to experience the quiet beauty of its narrow gorges. After sailing through Wu Gorge and Qutang Gorge, the cruise arrives at Fengdu, where passengers will have an opportunity to observe local culture and everyday life in one of the new resettlement towns on the Yangtze’s south bank – a sharp contrast to the hustle and bustle of life in Shanghai. The cruise disembarks in Chongqing, where travelers will catch their flight to Beijing for the last leg of the trip highlighted by the Great Wall of China. Guests will also visit Tiananmen Square, the largest public area in the world, followed by a tour of the impressive 15th century Imperial Palace at Beijing’s Forbidden City. An excursion to the elegant Summer Palace will showcase the largest imperial garden in the world, including over 3,000 structures with a variety of pavilions, towers and arched bridges surrounding Lake Kunming, where participants will enjoy a boat ride (weather permitting). The air-inclusive World of Difference® Silver Experience program starts at $2,999 per person, based on double occupancy, and includes transpacific air from Los Angeles or San Francisco via Air China or China Eastern Airlines (departures from JFK are an additional $200); intra-China flights; fuel surcharges, port charges, taxes and fees; on-board lectures, cultural entertainment, Tai Chi and Chinese language lessons, Captain’s Cocktail Party and farewell banquet on the Yangtze River cruise; meals; and the USTOA $1 Million Travelers Assistance Program. Travelers can maximize their enjoyment by upgrading to the World of Difference® Gold Experience, featuring Victoria Cruises’ Executive Amenities Program, which includes enhanced ship placement and a host of VIP additions including “white glove” service, access to exclusive ship areas, complimentary Wi-Fi Internet access, enhanced dining privileges, shoe shine service and reserved seating for evening entertainment (must be reserved in advance). The Gold Experience starts at $4,199 and travels in the opposite direction of the Silver Experience, starting in Beijing and ending in Shanghai. For more information or to book, contact Pacific Delight Tours at 800-221-7179 or visit www.PacificDelightTours.com. Ritz Tours’ 10-night ‘Yangtze Essence’ China package includes a three-night luxury cruise along the Yangtze River from Chongqing to Yichang on Victoria Cruises. Travelers can save an additional $100 per person by booking the Yangtze Essence program with Ritz Tours by Feb. 28, 2013. The program begins with three nights in Beijing where guests will observe the tombs of the Ming Dynasty Emperors and other historical treasures such as the Great Wall, Tiananmen Square, Forbidden City and Summer Palace. A morning excursion to the Temple of Heaven is often enhanced by the countless local tai chi practitioners who assemble in the courtyards to practice and train (weather permitting). In Xi’an, guests will visit the Ming Dynasty City Wall and the Big Wild Goose Pagoda as well as the Terracotta Warriors exhibit – the city’s star attraction – buried for more than 2,000 years until its accidental discovery in 1974. 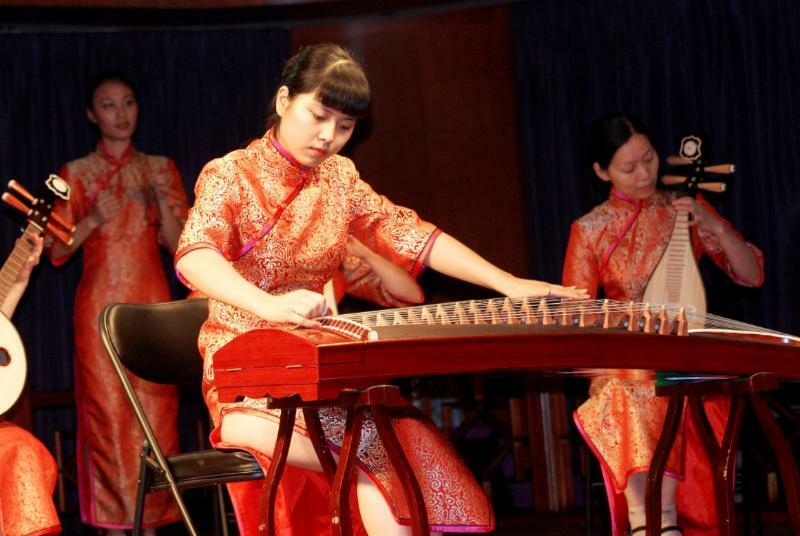 The Xi’an experience culminates with an Imperial Dumpling Dinner and Tang Dynasty Show. 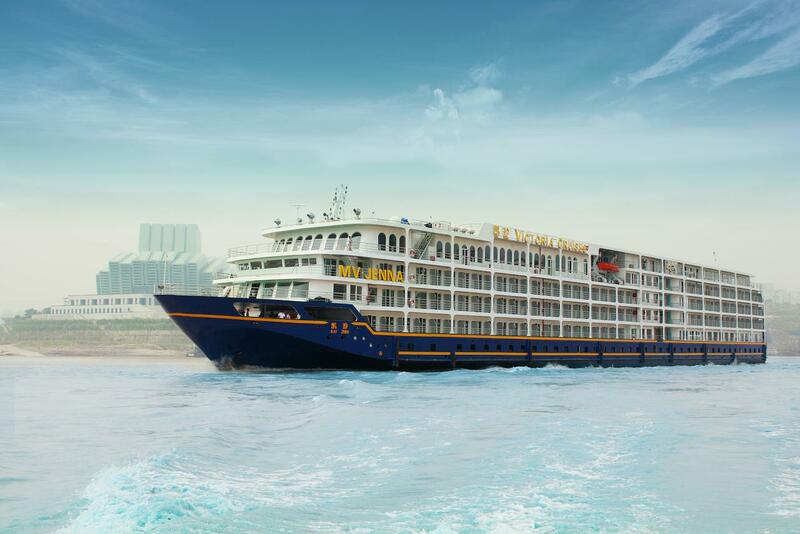 Next, guests will depart for a three-night luxury cruise along the Yangtze River from Chongqing to Yichang, enjoying private-balcony Executive Suite accommodations with enhanced ship placement and other VIP services and amenities offered through Victoria Cruises’ Executive Program on the five-star Victoria Anna. Amenities include personalized “white glove” service, access to exclusive ship areas, complimentary Wi-Fi Internet access, a la carte dining privileges, complimentary laundry (up to four items per day), shoe shine service and reserved seating for evening entertainment. Passengers will discover cultural and scenic gems along the Yangtze including an excursion to the “Ghost City” of Fengdu and passage through the mist-shrouded Three Gorges, as well as a small boat experience through one of the Yangtze’s tranquil tributaries (Daning River or Shennong Stream, based on weather conditions). Travelers will also enjoy an educational tour of the Three Gorges Dam site, the largest hydroelectric dam project in the world. The Yangtze Essence program culminates with a visit to Shanghai, where guests will have an opportunity to stroll the elegant waterfront boulevard known as The Bund, shop for designer luxury items on Nanjing Road and visit the peaceful Yu Garden, a classical garden right in the center of the bustling city. The tour ends with an exciting Chinese Acrobatic performance. 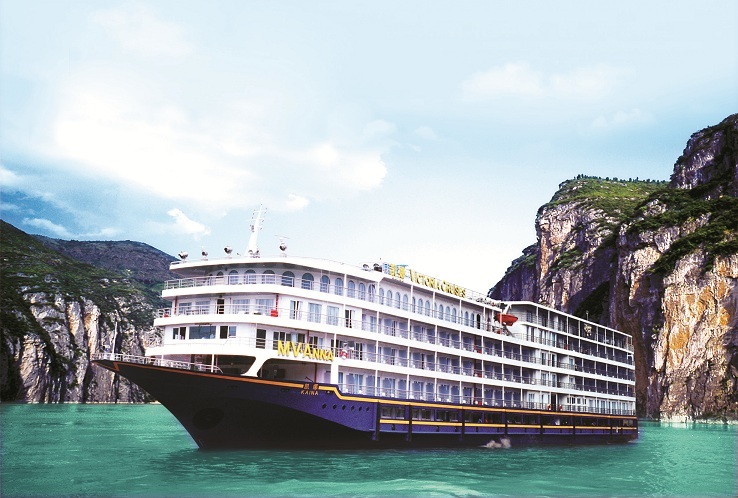 Land-only departures for Ritz Tours’ Yangtze Essence itinerary start at $1,999 per person, based on double occupancy. The program features all intra-China land and air transportation, Executive Suite accommodations with private balcony and VIP amenities aboard the five-star Victoria Anna, five-star hotel accommodations in Beijing, Xi’an and Shanghai, meals and excursions as specified in the itinerary, English-speaking guides and applicable taxes/fees. International airfare is not included but can be booked with Ritz Tours at competitive rates. Consult your local travel agent for more information or to book, or contact Ritz Tours at 888-345-7489 or www.ritztours.com.